As a Cleveland native, Dr. Zachary Gordon enjoys the city because it is a great place to raise a family and there’s so much to do in the area. Having a multitude of activity options is great because it’s important to lead an active lifestyle. Being active, while incorporating aerobic exercise helps prevent degenerative spinal issues. Dr. Gordon, a spine surgeon at University Hospitals, was drawn to spine surgery because it was rewarding to see people get better. “The most rewarding part of my job is getting people back to functioning in the way they were before.” He explains that patients won’t be able to stand or walk for long periods of time, and it’s great to see them improve and go back to the things they enjoy doing after surgery. 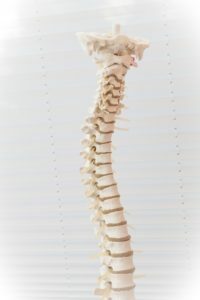 “Every spine problem is unique to the individual,” says Dr. Gordon. He acknowledges that people can be reluctant to have surgery, but if they develop a relationship with a competent, fellowship trained spine surgeon, then they can clearly understand its goals and benefits. Primarily, the kinds of cases Dr. Gordon takes on involve cervical or lumbar degenerative conditions, and spinal tumors or infections. “The vast majority of people that I see in these conditions that I treat, aren’t due to any specific injury,” he says. “They tend to be due to degenerative problems, something that is more age related. Training future spine surgeons, and trying to improve the way patients are taken care of are just a few of Dr. Gordon’s future goals. Improved patient care includes minimally invasive surgery and getting people up and moving as soon as possible afterwards. Dr. Gordon has worked with many Liner Legal clients, who praise not only his knowledge of medicine but also his bedside manner. Said one Liner Legal client: “Dr. Gordon gave me my life back!” We salute you, Dr. Gordon.